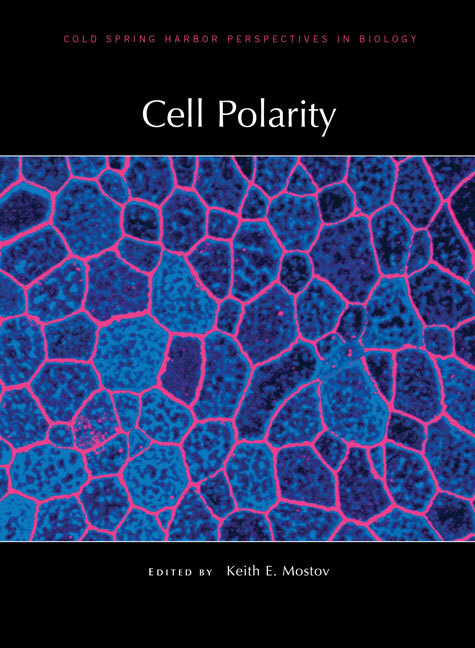 Most animal cells are polarized, with structurally and functionally distinct regions. This polarization facilitates processes such as differentiation and morphogenesis, directional cell migration, nerve impulse transmission, and transport of molecules across tissues. The dysregulation of these processes can lead to developmental disorders and is a feature of many cancers. Written and edited by experts in the field, this collection from Cold Spring Harbor Perspectives in Biology reviews our understanding of the molecular mechanisms involved in establishing and maintaining cell polarity, as well as their relevance for human disorders. Contributors discuss how cells coordinate signaling pathways, membrane trafficking, and cytoskeletal remodeling to ensure proper spatial arrangement of cellular components. Processes such as transcytosis, exocyst-mediated vesicle trafficking, and endosomal sorting are covered in detail. Throughout, the focus is on epithelial cells and how polarity mechanisms facilitate the development of their apical and basolateral surfaces, tube formation (e.g., in blood vessel development), exchange of waste and nutrients, and the generation and maintenance of specialized structures at the cell surface (e.g., cilia). The authors also describe the polarity mechanisms involved in collective cell migration, a phenomenon seen during morphogenesis and cancer metastasis. This volume will thus be essential reading for all cell and developmental biologists, as well as those interested in how cell polarity processes impact human health and disease.